Election day is right around the corner and we are trying to get our community as prepared as possible. 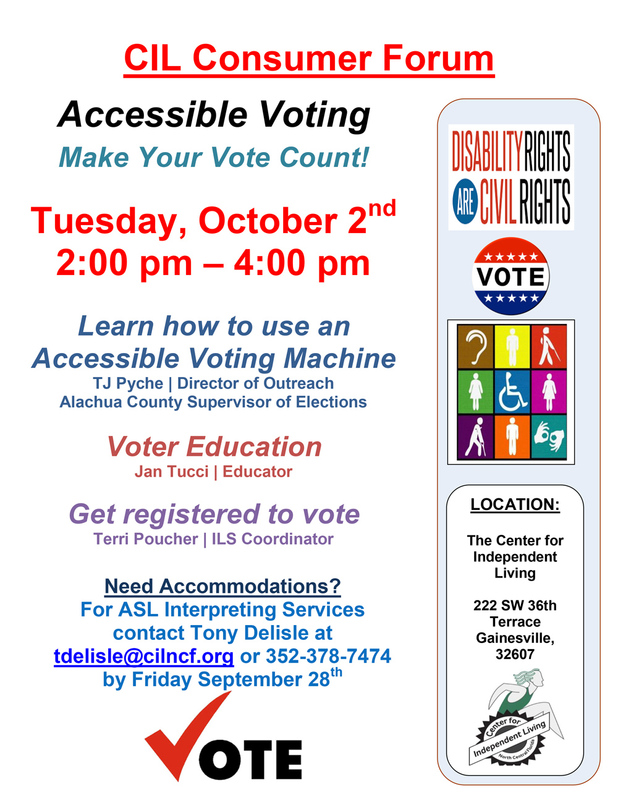 On October 2nd, we will be holding a CIL Consumer Forum to raise voter education, help with registration and explain how to use an accessible voting machine. Registering to vote is the first step to having your voice be heard. Make sure you register on time so you don’t miss Election Day because every vote matters! Always remember, Disability Rights ARE Civil Rights!